We had a great Ganpati celebrations at home this year. I was so busy with my favorite guest 'Ganesha' that I could not manage to get a time for posting this festival recipes. Like every year we prepared variety of Modaks. But this year it was a record, I prepared some 200 Fried Modaks. Lots of friends came for the Aarti on first day of the festival. It was fun. Now I am feeling lonely without that lovely idol. Let's come to the point. 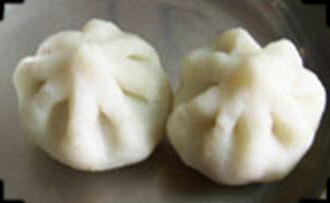 I have already posted modak recipes here. 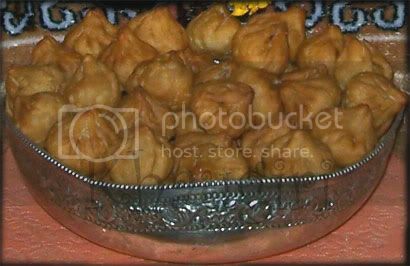 So this time another favorite Prasad of Ganpati is Khirapat or Panchakhadya, which contains 5 main ingredients starting from Marathi letter 'ख'. Khobra, Kharik, khaskhas, khismis, khadisakhar. Roast grated dry coconut in kadai for 2-3 minutes. Do not let the color गेट change. Roast poppy seeds for 1-2 minutes. Now mix dry dates poppy seeds and rock sugar together. In mixer make a coarse powder of it. Crushed roasted coconut little with hands. Then mix all other ingredients into it. Easy & quick Naivedya for Ganpati is ready. You can store it in a air tight container and use it for 8-10 days. Another recipes for Ganesha Festival. 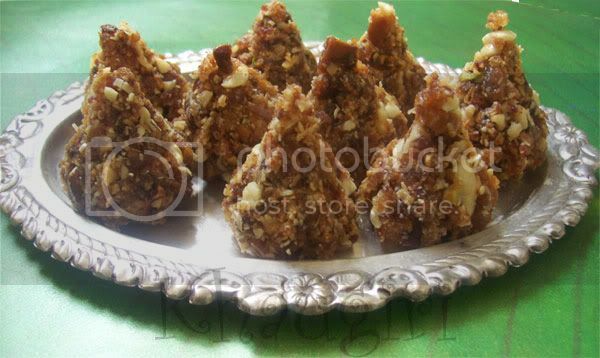 Lovely Modak recipes..never tried it! thanks for sharing .. This brings back memories of Ganpati back home. Did not know khirapat is called so because of all the kh. Very interesting. And you made 200 fried modaks? My Ganpati bappa will be happy if I manage to make 11 this year. Panchakhyadya looks fabulous..Cute looking ganesh..
Thts an interesting prasad recipe for me...luvly modaks as well.